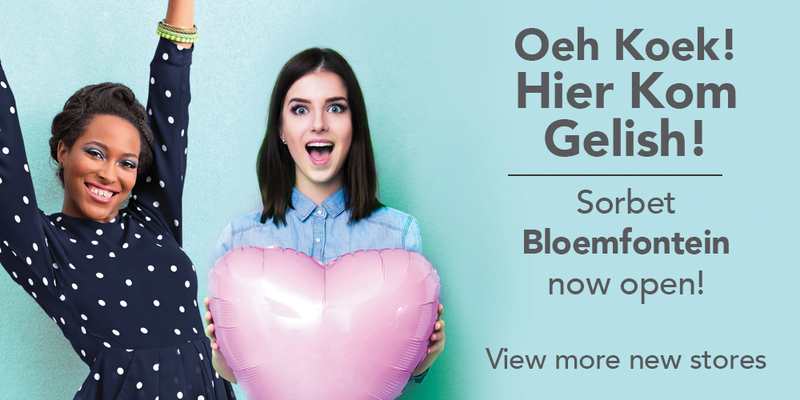 New Stores: Bloem it’s great to finally meet you! Ooh Koek, Hier Koem Gelish! Our first ever Sorbet store opened at @The Park Langenhovenpark, Bloemfontein. Yipeeee!!! Tel: 0514460029 / 0768272218. T’s & C’s apply. New babe on the block! A new Sorbet store is now open in Glenacres. Find us at Shop 10 Glen Acres Shopping Centre, Cnr Dann & Monument Roads, Glen Marais, Kempton Park, JHBContact us on 0119721416 or 0791127052.